The Polar Express 30th Anniversary Edition by Chris Van Allsburg. Review: Imagine being on a train in the middle of the night, and then all of a sudden you see lights, lots of them. Now imagine knowing that you will meet Santa Claus. You would want to explore, right? Well those are the exact thoughts that are going through Hero Boy and Hero GirlÕs minds in The Polar Express by Chris Van Allsburg. On Christmas Eve select children get the chance to see Santa Claus at the North Pole. two of the kids get lost in the North Pole they explore and see many things you wouldnÕt usually see. They see elves, some flying reindeer, and the elvesÕ homes. Hero Boy, towards the end of the book, gets to meet Santa Claus in person. He returns home on Christmas Day, and one of the presents he opens is a bell from SantaÕs sleigh. He now strongly believes in Santa and his elves. The Polar Express is intended for ages 4-7, however this book can be read by anyone of any age. Although kids ages 4-7 would need help to read the book, it is children's fiction, so they would enjoy it most. For example the words outstretched and barren are words they wouldnÕt understand. The main characters in the book are Hero girl, Hero boy, and Billy. Together they go throughout the North Pole and see things you wouldnÕt normally see everyday, like elves and Santa Claus. The art in the book is very detailed and nicely done. However a younger child might think the paintings are a little busy, and because the book is during the night, the pictures are a little dark. These things might make the book seem a little overwhelming for them. Overall I do very much think that all ages would take pleasure in The Polar Express, it is a very well written book, and the pictures are fantastic. Review written by Mekenna (6th grade student). We would like to thank Houghton Mifflin Harcourt for providing a copy of The Polar Express 30th Anniversary Edition for this review. Have you read The Polar Express 30th Anniversary Edition? How would you rate it? 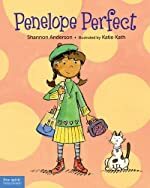 Penelope Perfect: A Tale of Perfectionism Gone Wrong by Shannon Anderson. Review: Do picture books with bright colors and unique pictures excite you? What about books that are poetic? Then you will love the book Penelope Perfect by Shannon Anderson about a young girl named Penelope. Penelope is a girl who thinks she has to be perfect all the time. Every day she goes through the same routine and does the same things at school and at home. Penelope has everything figured out from the start of the day to the end and is very neat. But everything changes when her alarm clock doesnÕt work one morning. Penelope Perfect is a great read aloud for children who donÕt read yet or like picture books. Penelope Perfect has vibrant and colorful pictures and has a poetic structure to it. Penelope Perfect is a book full of excitement. I definitely recommend Penelope Perfect. We would like to thank Free Spirit Press for providing a copy of Penelope Perfect: A Tale of Perfectionism Gone Wrong for this review. Have you read Penelope Perfect: A Tale of Perfectionism Gone Wrong? How would you rate it? We're in the Wrong Book! by Richard Byrne. Review: Are you looking for a short children's book? If you are, WeÕre in the wrong book! by Richard Byrne is the best book to buy. This book, even though small, is fun for toddlers and preschoolers. It's great for read alouds and early readers. The characters are cute and they are fantastic for younger kids because theyÕre small and understandable. The entertainment is mostly for little kids. The colorful pictures help put together the plot and there fun to look at. The vocabulary is perfect for any young children. 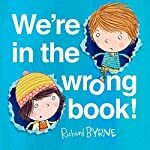 We're in the wrong book by Richard Byrne definitely deserves 5 stars. We're in the Wrong Book is about two kids [Ben and Bella] who get knocked off their book and are lost jumping through pages trying to look for it. As they jump through pages they find many different books like mazes, biographies, and comics. You will have to read the book to see what happens next. We would like to thank Henry Holt and Co. for providing a copy of We're in the Wrong Book! for this review. Have you read We're in the Wrong Book!? How would you rate it? Across the Blue Pacific: A WWII Story by Louise Borden. Review: The sub is missing. What happened? In the story Across the Blue Pacific by Loius Borden a girl named Molly is sharing her childhood memories of what happened to her in World War II. Across the Blue Pacific is a higher-level reader childrenÕs book. The age for enjoyment is probably between 3rd grade and 5th grade. The vocab level is probably 4th grade and higher. The plot line however is for 2nd grade and higher. I would personally enjoy this book because it is a fun to read childrenÕs book, and because she is telling the story through her recollection so she can also add emotion. The moral of the story is even better than the book itself. It proposes that if there is a story worth telling again it is worth remembering. Overall I recommend you read Across the Blue Pacific because it is just a great easy read. A special thanks to Louis Borden for writing Across the Blue Pacific. We would like to thank Houghton Mifflin Harcourt for providing a copy of Across the Blue Pacific: A WWII Story for this review. Have you read Across the Blue Pacific: A WWII Story? How would you rate it? 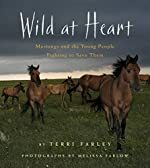 Wild at Heart: Mustangs and the Young People Trying to Save Them by Terri Farley and Melissa Farlow. Review: Wild at Heart is an eye-opening book about the life of wild mustangs. The book reveals tragic events about the capture of wild mustangs. The beauty of a horse running free is a stunning sight, but when you see helicopters chasing a herd of mustangs into a trap, your heart can only break. When the helicopters are scaring the horses into a trap, they make the mustangs run for many miles so they are tired out. Unfortunately this kills many of the fouls before they are born. The older horses often canÕt run for that long and break their bones in the middle of the chase and often get stampeded over. When the horses are captured they are killed and used for meat and fur. There is so much information and events in this book the reader will be so interested they will not want to put it down. Wild at Heart by Terri Farley is a book 5th graders and older should read. I donÕt think younger children should read this because of the sad acts of cruelty that happen to the mustangs. The vocabulary is also at a fifth grade level and above. The moral of the story is the history of the wild mustangs and how people are fighting to save them from a second extinction. I love and ride horses, so horses are very dear to my heart. I found the pictures very beautiful. I was sad to read all the gruesome things people have done to mustangs over the years, but so happy to see there are people who are trying to save them. Review written by Jenny (6th grade student). We would like to thank Houghton Mifflin Harcourt for providing a copy of Wild at Heart: Mustangs and the Young People Trying to Save Them for this review. Have you read Wild at Heart: Mustangs and the Young People Trying to Save Them? How would you rate it? 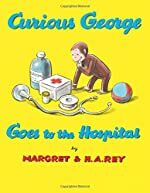 Curious George Goes to the Hospital by H. A. Ray. A Curious George Book. Review: Do you have a curious preschooler running around your house? Have they ever eaten something they werenÕt supposed to out of curiosity? If so then your little one is going to love listening to you read Curious George Goes to the Hospital by H.A. Rey! George is a very curious monkey. One day he noticed a box on the manÕs desk and he is so curious he just has to open it. There are strange looking objects in it that look like candy so he just has to try them. The next day his tummy is hurting so he goes to the doctor and has to get an X-ray. He will have to go to the hospital to for doctors to figure out whatÕs wrong with him. Will George be all right? Curious George is perfect for Early elementary students. The words in the story are easy enough for young readers to read and understand. Curious George is very humorous and will make children laugh. George is relatable to kids because it teaches kids a lesson to laugh. The illustrations work very well with the writing and help the children understand the story. Although this book is a longer childrenÕs book please read it because it is an awesome book. Review written by Kristina (6th grade student). We would like to thank Houghton Mifflin Harcourt for providing a copy of Curious George Goes to the Hospital for this review. Have you read Curious George Goes to the Hospital? How would you rate it? Full Moon at the Napping House by Audrey Wood. Sequel to The Napping House. Review: There is a house, a full-moon house, where everyone is restless. 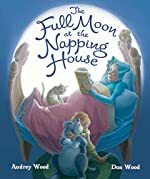 In the book, The Full Moon at the Napping House by Audrey and Don Wood is a story where there is a granny whoÕs wide-awake, a playful dog, a prowling cat, a worried mouse, and a fidgety child. But, none of them can sleep; even the full moon is awake! UntilÉ a small cricket appears. The Full Moon at the Napping House is intended for first and second graders, but some adults like this book too! This story is a book with appealing painted pages and text. The Full Moon at the Napping House is a great read for bedtime stories with an interesting group of characters. Review written by Ink (6th grade student). 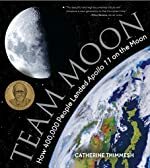 We would like to thank Houghton Mifflin Harcourt for providing a copy of Full Moon at the Napping House for this review. Have you read Full Moon at the Napping House? How would you rate it? National Geographic Kids Weird but True! 6: 300 Outrageous Facts by National Geographic Kids. Review: Weird but True! 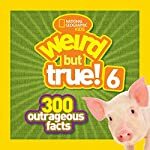 Ripped from the Headlines by National Geographic Kids will take you into the book to learn strange and humorous facts from all over the world like glow in the dark piglets, cicada flavored ice cream, or even soccer-playing parrots! Weird but True! Ripped from the Headlines is a fun nonfiction book to read recommended for 2nd to 4th graders with weird facts that will amaze you with humorous attention grabbing pictures and illustrations that are all true! You are going to gasp when you see this book. This will encourage kids to read with all the funny and cool facts. Even adults will find this surprising, engaging, and humorous as well. The vocabulary is appropriate and mildly easy to read for the recommended audience, and the pictures appropriate as well. In Weird but True! Ripped from the Headlines, youÕll be amazed by weird headlines from all over the world! It tells you about foods, animals, or events; but with a crazy bend to it that you wonÕt believe. Read this book now to show everybody all these cool facts! Review written by Erika (6th grade student). We would like to thank National Geographic Kids for providing a copy of National Geographic Kids Weird but True! 6: 300 Outrageous Facts for this review. Have you read National Geographic Kids Weird but True! 6: 300 Outrageous Facts? How would you rate it? 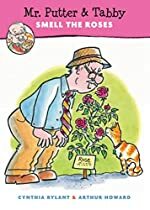 Mr. Putter & Tabby Smell the Roses by Cynthia Rylant. A Mr. Putter & Tabby Book. Review: Don't roses smell so wonderful to you? If so then I have a recommendation for you! Mr. Putter & Tabby Smell The Rosesby Cynthia Rylant is what you're looking for. This is a wonderful book for young children who are looking for a great starter book to read. it is a short story about Mr. Putter and his Tabby that want to do something nice for Mrs. Teaberry, his friend, on her special day! What's better than going out to the conservatory? The audience age level is 6-9, in Kindergarten, intended for both boys and girls who like a wonderful starter book. The characters include a silly bulldog that belongs to Mrs. Teaberry with a quiet Tabby that belongs to Mr. Putter who are two very caring friends. The pictures in this book help engage the child to find the pictures a nice extra touch to imagine the story. I think it is a great book for adult enjoyment and a great starter book for children and so as the parent sees the child engaging in reading more and going into more advanced books would be appealing to the parent. Overall I think it is funny and a great starter book for young children. It is nice and easy too for kids who have trouble reading and for a parents that want to read with their child. I definitely recommend this book for any young readers. I personally think the illustrations and the charters are great! Wow Mrs. Teaberry and Mr. Putter look like they're having lots of fun, I'm sure you don't want to miss out on it! So dive right in and have fun reading your book! Review written by Abbey (6th grade student). We would like to thank Houghton Mifflin Harcourt for providing a copy of Mr. Putter & Tabby Smell the Roses for this review. Have you read Mr. Putter & Tabby Smell the Roses? How would you rate it? Drowned City: Hurricane Katrina and New Orleans by Don Brown. Review: Have you ever wanted to learn about New Orleans after Hurricane Katrina hit? With the book, Drowned City: Hurricane Katrina and New Orleans by Don Brown, you will be able to know what happened before, during, and after the hurricane hit New Orleans. The age group that is best for Drowned City is 9 Ð 13 year olds. Because of the more challenging vocabulary, it is best if the readers are in late Elementary School, and Early Junior High. Young children would not like Drowned City because people, animals, and pets are dying. Drowned City is nonfiction,the illustrations help to explain the book because if the book just says, ÒSome gun-toting business owners arrive to protect their shops and offices.Ó Would you know what they meant by that one sentence? If not then you need the picture. The picture shows that there is a shop owner in front of his shop with a gun, and a sign that says, ÒYou Loot, I SHOOTÓ. This book is a graphic novel, so even though it looks long, it is a fifteen-minute read at the most. The graphic novel format might also appeal to middle-school readers. Overall, the format and topic is sure to strike interest in many readers. Review written by Madison (6th grade student). We would like to thank Houghton Mifflin Harcourt for providing a copy of Drowned City: Hurricane Katrina and New Orleans for this review. 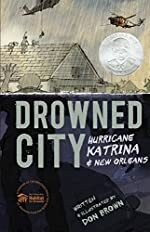 Have you read Drowned City: Hurricane Katrina and New Orleans? How would you rate it? Search and Spot Animals by Laura Ljungkvist. A Search and Spot Book. Review: Have you wanted to find a great book that has many different pages full of hidden animals to find? 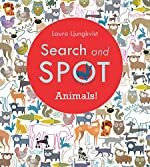 Search and Spot Animals by Laura Ljungkvist is a fun book that has many different pages full of hidden animals to find. It is a book that can most likely be enjoyed by kids under the age of seven. Search and Spot Animals can also help kids learn, because it challenges their mind. I think parents would also like it because most parents want their kids to learn and also have fun at the same time, and that is exactly what this book provides. I definitely recommend this book, and if you want a fun book to read that has lots of animals hidden in nature, this is definitely the book you want since it has a little surprise hidden throughout the pages. We would like to thank Houghton Mifflin Harcourt for providing a copy of Search and Spot Animals for this review. Have you read Search and Spot Animals? How would you rate it? Butterfly Park by Elly MacKay. Review: Have you ever read a book about butterflies? Even though you most likely have, you have probably not read one like this. 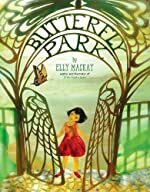 Butterfly Park by Elly Mackay is the tale of a tiny girl. Her story involves a loss, but also a fresh beginning in her new home. This realistic fiction picture book is full of life-to-life connections, especially for the children that have experienced having a home in a new neighborhood. However, how will she settle in when there is nothing she is used to? In Butterfly Park there is a girl that thinks her new home will be nothing like her old home back in the countryside, but she is mistaken. Luckily for her, the home she moves into is right next to a butterfly park! She feels like she can still be connected to nature. But there is one problem. The butterfly parkÉ is empty! She discovers that there are no fluttering insects anywhere. She makes an effort to capture some to put in the park, but they all soar away. Will she be able to occupy the deserted park? What if she never can? Butterfly Park is a very good book for young ages, especially for preschoolers and young elementary students. The plot is not very complicated, and is appropriate for youthful minds. The vocabulary is also unchallenging, perfect for children who are just developing reading skills. If I was still a child, I would very much enjoy this book as a bedtime story. The illustrations are colorful, bright, very detailed, and cut out of actual paper, making the artwork even more unique. Great effort was put into writing this heartwarming story. Review written by Katherine (6th grade student). We would like to thank Running Press Books for providing a copy of Butterfly Park for this review. Have you read Butterfly Park? How would you rate it? 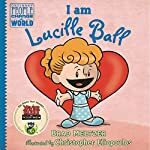 I am Lucille Ball by Brad Meltzer. An Ordinary People Change the World Book. Review: I am Lucille Ball is all about a girl that dreams of being an actor. Everyone doubts her because of how different she is. Nobody accepts her into schools to be an actor. Soon one person recognizes her talents and her dream comes true. She stars in musicals and shows. Finally one of her shows I Love Lucy aired on CBS on October 15, 1951. Everything started falling into place for Lucy, but to find out what happens next read I am Lucille Ball. Funny, weird, different, and exciting. Those are only some of the fun and happy characteristics of Lucille Ball. If you love comics and books that will still help you learn to read then, I am Lucille Ball is a perfect book for you. Also if you are a kid who loves pictures, then I am Lucille Ball is more than just pictures, the pictures help make a picture in your mind! ItÕs like a picture making another picture! How crazy is that? Plus if you donÕt find a lot of books with funny scenes, but you are dying to find one, I am Lucille Ball is the best book for that. This book is perfect for kids from kindergarten-3rd grade, and some older kids may like it, it. I am Lucille Ball doesnÕt have a high vocabulary level so it is perfect for newer readers. Adding on to why this book is so great is the fact that kids will love the character because she looks like a little girl in the pictures, but is really 17! These are all very entertaining, but donÕt forget that this is nonfiction a story and was all about Lucille BallÕs real life. Most importantly do not forget that his book is trying to tell people that if you fail donÕt stop, keep on trying. Review written by Adi (6th grade student). We would like to thank Dial Books for providing a copy of I am Lucille Ball for this review. Have you read I am Lucille Ball? How would you rate it? 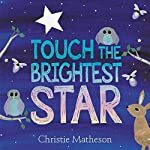 Touch the Brightest Star by Christie Matheson. Review: Twinkle, Twinkle Little Star. YouÕve must have heard that phrase many times in your childhood while you read nursery books. Although that book was great, I have a better book to share with you. The book, Touch the Brightest Star by Christie Matheson is an amazing book to read aloud to your children. Touch the Brightest Star is about you touching different object like, stars and animals. Touch the Brightest Star doesn't really have a storyline; it's more of an interactive book. Because Touch the Brightest Star is so interactive and has easy vocabulary to understand, it's primarily intended for toddlers. It is also intended for you to read Touch the Brightest Star at bedtime because that contributes to the story's plot. Touch the Brightest Star really doesn't have a moral like most other books do; the author mainly wrote this book for your child to have fun. Also, if you want your child to improve on listening skills, this is a wonderful book for you. The illustrations are very calming and relaxing, not immensely overwhelming because this is a bedtime book. Overall, this is a pleasant interactive bedtime book for toddlers. Review written by Heer (6th grade student). We would like to thank Greenwillow Press for providing a copy of Touch the Brightest Star for this review. Have you read Touch the Brightest Star? How would you rate it? Those Darn Squirrels! by Adam Rubin. Review: Those Darn Squirrels is about old man Fookwire, who is lonely but loves to paint the beautiful birds. But what will old man Fookwire do when the birds, and annoying squirrels fly south for the winter? Find out what happens in Those Darn Squirrels Fly South. Early elementary children will love Those Darn Squirrels Fly South, because of the adorable eye popping illustrations,-and simple but interesting plot. The words will be mostly familiar to them, but there are some new vocabulary words for the reader. The illustrations are absolutely amazing, with bold bright colors, and hilarious details. Adults will love reading Those Darn Squirrels to their kids, and will be hearing Òread it again!Ó soon. This story shows that being nice, and having new friends I important. 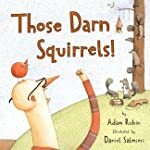 Despite needing a little more humor as far as the writing, if you read them Those Darn Squirrels you will have some captivated kiddos. Review written by Emma (6th grade student). We would like to thank Clarion Books for providing a copy of Those Darn Squirrels! for this review. Have you read Those Darn Squirrels!? How would you rate it?